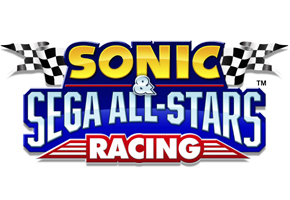 You may or may not have known this, depending on how close you listened to a wide array of audio samples from Sonic & Sega All-Stars Racing that has circulated for a couple weeks now. For those who didn’t have the ears for it before, it’s time to listen up. There’s a particular set of audio commentary tracks that were a part of that extraction in which the announcer is clearly referring to reverse courses that, for now at least, don’t exist in the game’s final product. Courtesy of Sonic Retro forumer nineko, you can find a ZIP of that audio here. The tracks reference 8 courses–Rampart Road, Sewer Scrapes, Rocky Coaster, Shibuya Downtown, Turbine Loop, Roulette Road, Ocean Ruin, and Monkey Target–as having a reverse mode. The question is, were these planned for ASR’s final release and cut, or is this the foundation of a future DLC release…or both? If the latter, assuming the courses in question have mostly been built with that in mind with minimal changes needed for a proper execution, we may have another DLC key on our hands. Though a better deal than what was recently put up for purchase, it may not sit well with fans who would prefer more time spent on original content, especially if this is essentially another unlock code for content already built into the game, and if it’s offered at a similar price. As with all games, we recorded the commentary quite early on, so we recorded more than we planned to use, with some alternatives in case we made any late changes. Some things didn’t make it into the game, or made it in but in a different form. If you’re expecting the un-used commentary to be used for DLC though, you’re barking up the wrong tree. So, it looks more like this particular component had been planned and cut, and less like we’ll see something in the future. Given what has been released, thought anything is possible as chatter continues to build for a pending DLC release.